Fortnite Season 7 has finally arrived and just like any other major update from Epic Games - especially the big ones - dataminers have come out to play. Though the most recent skins leak is infinitely smaller than previous entries, we've only just begun! Keep in mind that just like with all leaks, take everything shown with a grain of salt until the developers themselves have revealed what's next. That being said, the woman on the right can be seen in the promotional materials, so it's safe to feel comfortable with this leak. With the Game Awards tomorrow and Fortnite already promising an exciting showcase, it's likely at least some of these skins will be available in tomorrow's Item Shop rotation. Hopefully as the day goes on, we'll be able to uncover even more exciting new features! 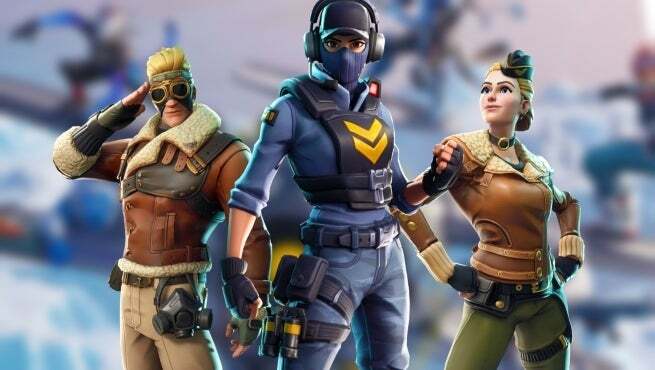 With the addition of planes, all new areas to explore, and fun Ziplines - there's no shortage of new experiences to have in the popular battle royale game. "Season 7 arrives as the Iceberg collides with the island. Discover new areas such as Frosty Flights, Polar Peak, and more! Uncover what’s in the new Battle Pass, rule the skies with the new X-4 Stormwing plane, and change the style of some of your favorite weapons and items with Wraps in Battle Royale. Explore Fortnite Creative, a new experience where you can create, play, and save anything you can imagine on private islands! In Save the World, the Stand and Fight campaign comes to an exciting conclusion as Canny Valley Act 3 is released!"